One doesn’t need to be a Taoist to be justified in aimless wanderings. After going through an extra busy week, I decided to calm my nerves by taking a stroll at a neighborhood where everything is slower and more aesthetically pleasing than where I live. Without a plan or a company, I roamed around with a camera in my hand, deciding to stop only when I find something interesting. 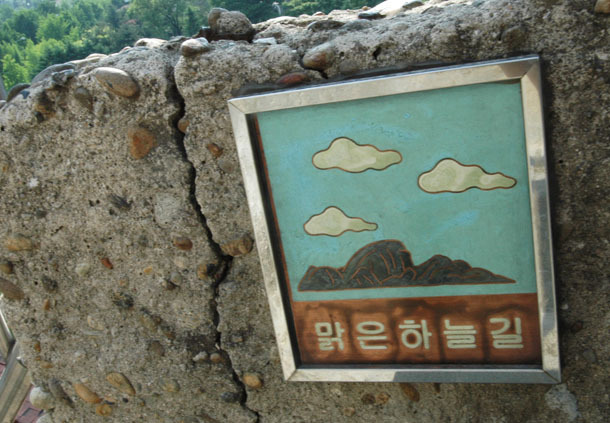 The first place I took out my camera was at Anguk Station, where a wall was decorated with tiles that had paintings or poems about Insa-dong. I usually try to avoid going to Insa-dong because I consider it a tourist trap and think it’s shamelessly becoming more of one every time I go there . 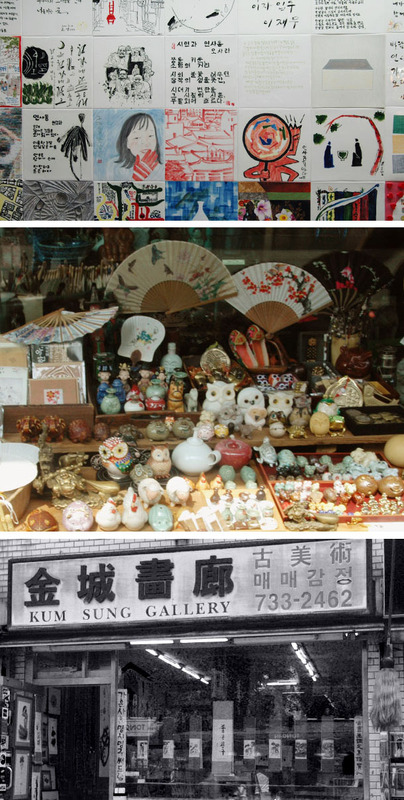 But I have fond childhood memories of the place when it was still unique with dusty streets and genuine art galleries. I go back to Insa-dong time to time to see if I can find anything I remember. Yeah, there are some charm left in the neighborhood. But I walked out of Insa-dong quickly to escape the crowd. After all, I wanted go somewhere with less people. So I headed towards Bukchon. 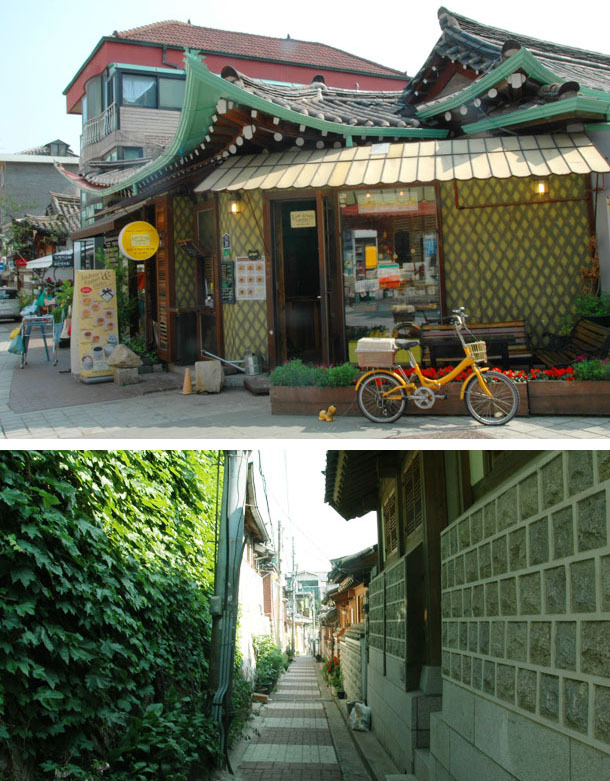 Despite being another popular destination for tourists, Bukchon is less crowded than Insa-dong and it’s one of the few places left in Seoul where you can walk through the narrow streets of hanoks (Korean traditional house). Some hanoks are delightfully reinterpreted in modern style. 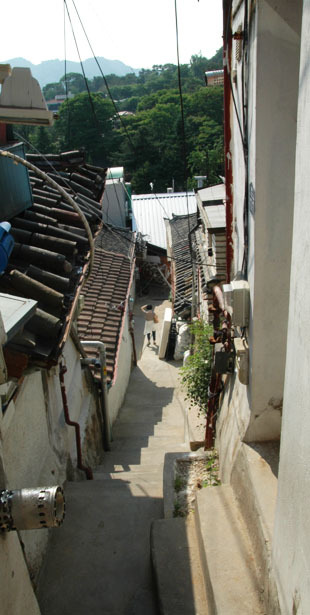 I like to wander around charming little alleys of Bukchon while listening to the hum of the giant city. It’s really hard to listen to sounds other than cars and motorbikes and K-pop in other busy parts of Seoul, but in Bukchon all those noises are a murmur. Because I was feeling a bit peckish, I decided to head towards Samcheong-dong, where they have lots of small cafes and restaurants. But as always I got lost. “When lost, follow the tourists” is my brother’s motto and he’s right. I followed two Japanese tourists and their detailed Seoul map and soon I was at a narrow staircase with a cute name: “Clear Sky Route.” At the end of the staircase was Samcheong-dong. In Samcheong-dong I stumbled upon a small teahouse with an interesting title—The Second Best Place in Seoul. I immediately remembered my mom talking about this place. So I stopped by at this 36-year-old traditional teahouse. The age of the patrons inside proved this is a nostalgic place for many Seoulites. 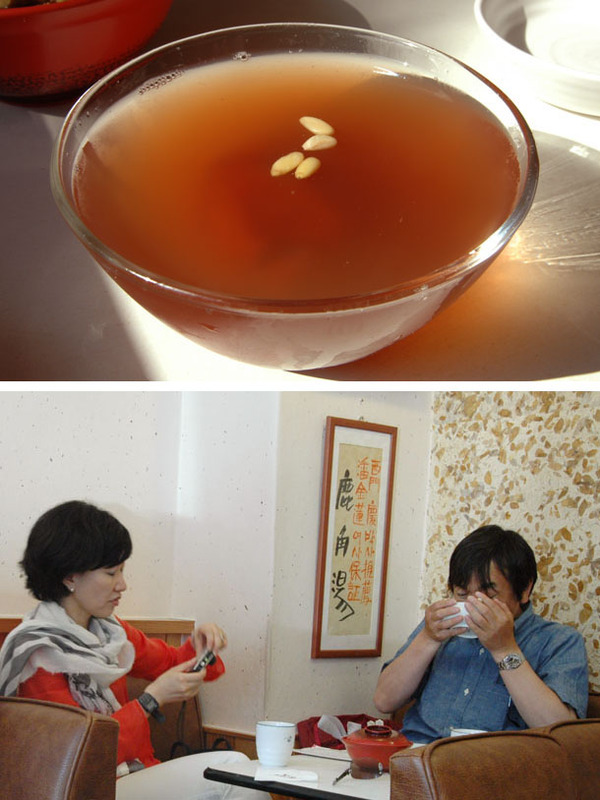 I had sujeonggwa, a cold persimmon cinnamon punch. The sweetness of persimmon and cinnamon combined with a bit of spiciness from ginger was invigorating and was able to wake my tired body. My last destination was a strange little fusion restaurant, De Miel, where you could order arrabbiata pasta and Shanghainese fried noodles on the same table. 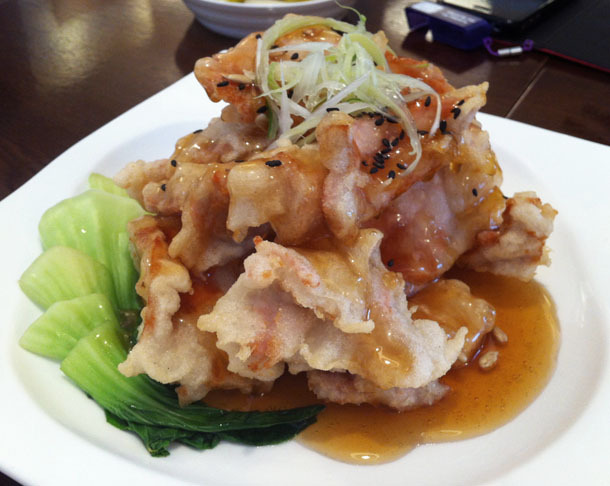 I ordered guo bao rou (Northern Chinese-style deep fried pork in sweet and sour sauce). It felt good to reintroduce some fat to my body after burning so much. By the time I got back home, I felt nicely worn out; it’s a different kind of exhaustion from the one you feel after working all day. You feel tired and your feet are sore, but your mind feels like freshly done laundry, ready to be thrown into a messy week once again. This entry was posted in Explore, Seoul, Taste and tagged Korea, Seoul, tour, walk, wandering.